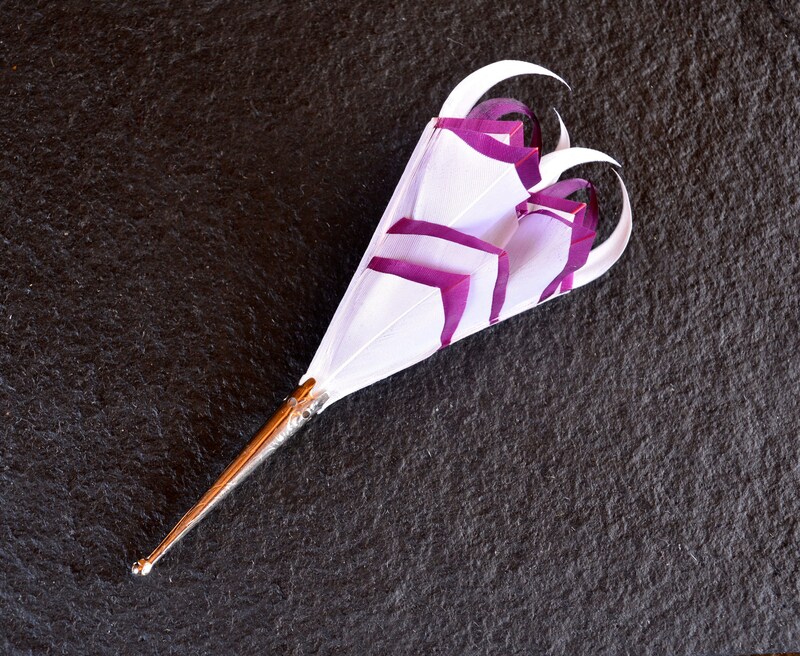 Plum Picasso: The perfect name for this lush, fruity, plum and white contemporary high design feather lapel pin by plumassier artist Tracey Telford. 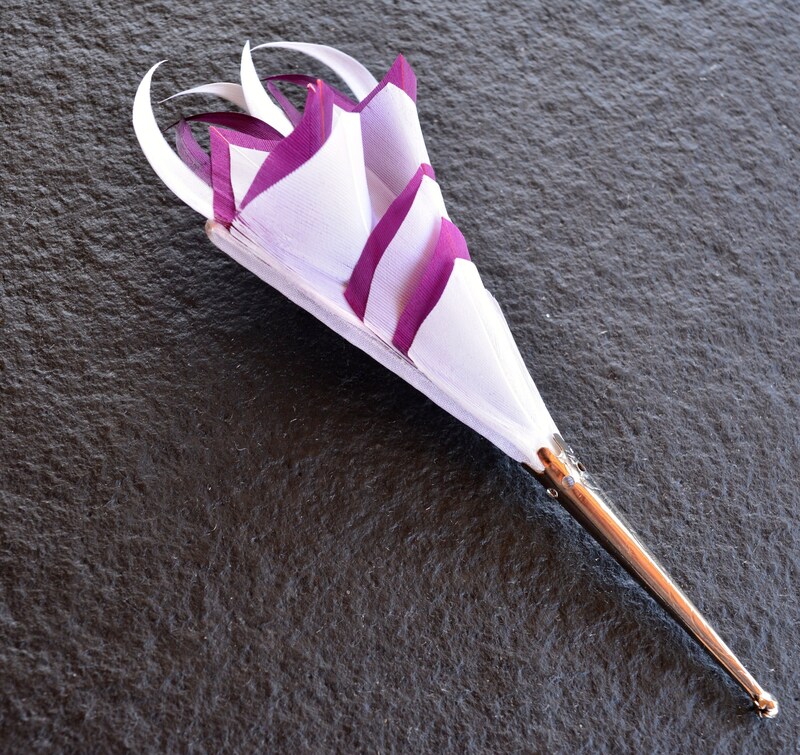 This Plum Picasso design is set on a quality white 100% silk base however, being individually handmade, you can request other layered feather colour combinations and a range of others base colours to complement your preferred design aesthetic. It can also be made available on a quality satin. The metal base of the lapel pin is available in a choice of either silver or traditional gold colours. 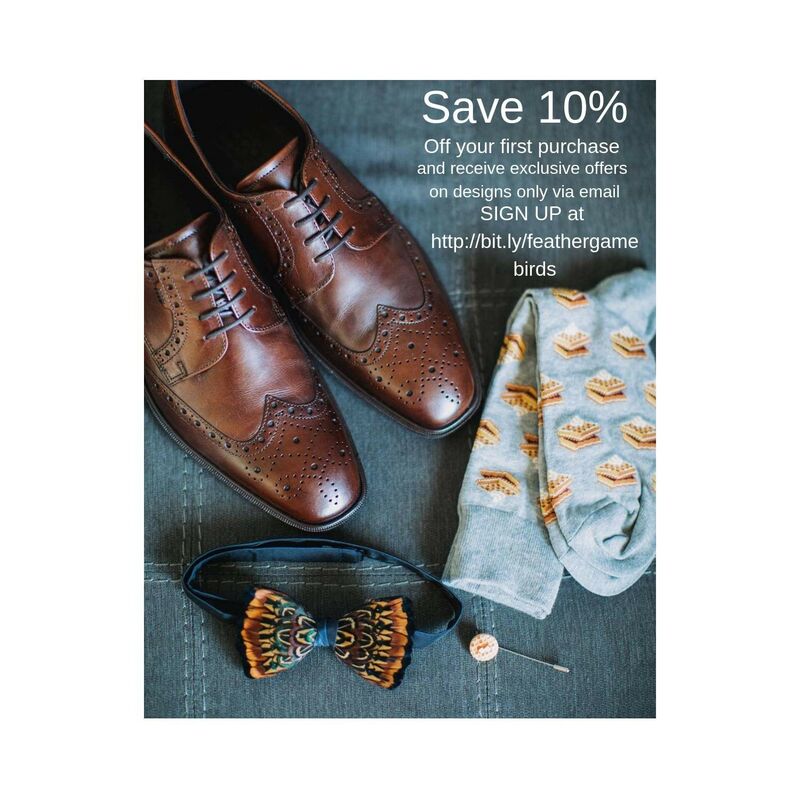 Complementing designs of feather bow ties, pockets, wrist corsages, hair clips, bridal bouquets, and fascinators are also available for group events, bridal parties and collectors alike.